Have a baptism coming up? 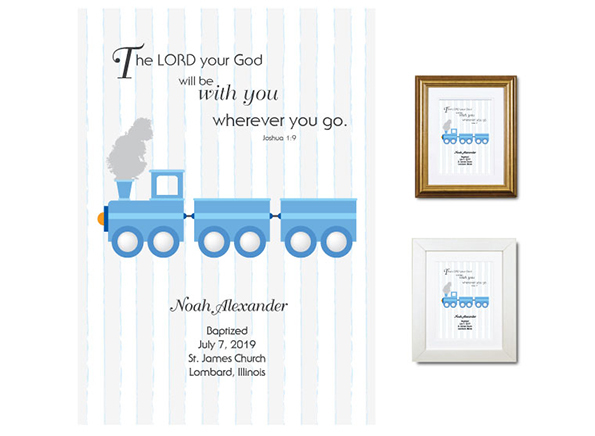 Our personalized nursery wall art make gifts – and there are new designs in the store now! The one pictured above is also available in pink.